During first couple of days after hours of welding, cutting and drilling we have managed to test the first functional prototypes of our machine and are ready to present it Thursday night. This entry was posted in Robotics 2011. Bookmark the permalink. 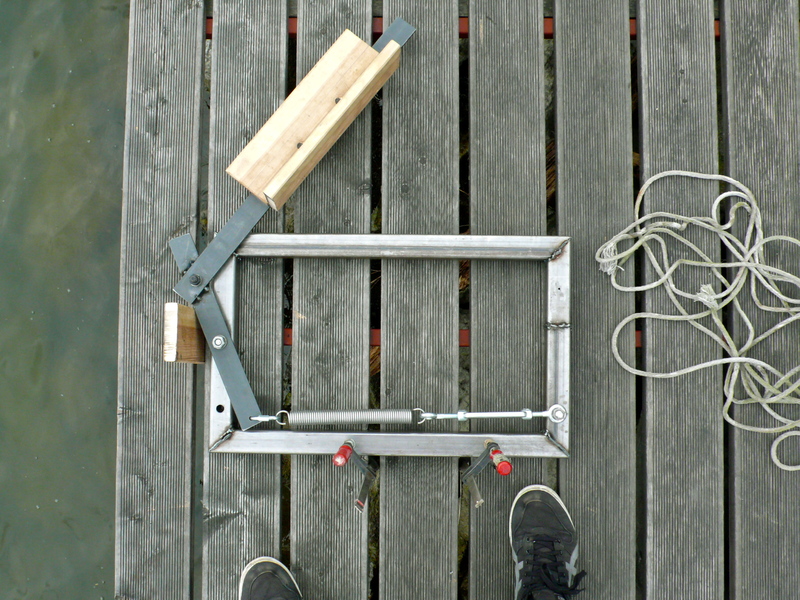 Things for today that I see: attachment to the ramp, angle setting, maybe a safer release mechanism using a right angled lever, so you can pull it backwards. Let’s see how many skips we can get. Hi Jaakk! My name is Erwin! I am currently working on a research paper about the physics of stone skipping. 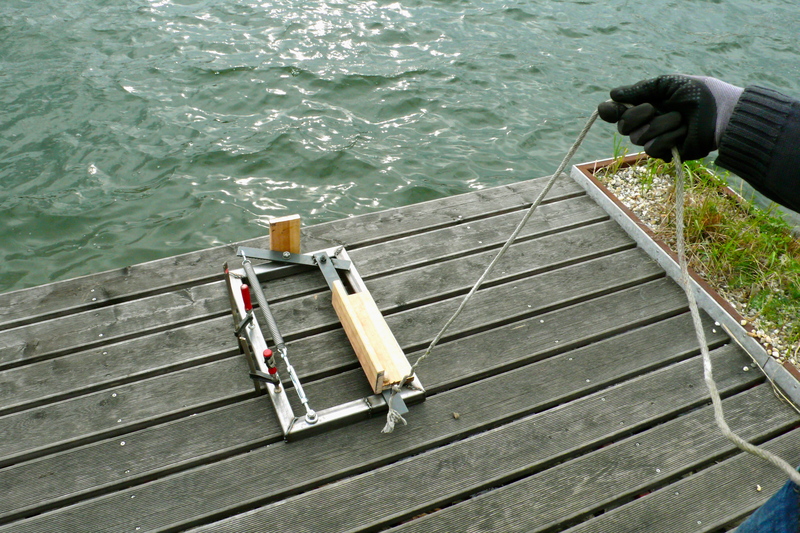 For an experiment we would also like to build a stone skipping machine. So we could play around with multiple incidence angles and speeds. Your device seems very straightforward but effective. Is there any way i can get my hands on a building plan of your machine. It would help me out a lot! Hi…Jaakk and Erwin…im Mrunali….Evn i am working on the physics of skipping stones. Its a course of creative intervention in everyday science.